Experience the contrast of Michelangelo in Florence and oompah-pah bands in Munich. Take in some fresh mountain air in Alpine Austria and sunshine on the Riviera beaches. Festive Spain awaits with fiery Flamenco dancing. Discover what doing ‘The Continental’ is all about. If nothing listed below, check with your tour director overseas for possible options being offered. The Dachau concentration camp was the first regular concentration camp established by the National Socialist (Nazi) government in 1933. Heinrich Himmler, in his capacity as police president of Munich, officially described the camp as “the first concentration camp for political prisoners.” It was located on the grounds of an abandoned munitions factory near the northeastern part of the town of Dachau, a town about 10 miles northwest of Munich in southern Germany. The above cost includes a tour with audio guides and round-trip transfer by motor-coach. An evening of musical and culinary arts in the stylish setting of a sumptuous Baroque Hall. Be transported back to Mozart's era and enjoy an evening's entertainment as it might have been enjoyed in 1790. Candlelight, a menu based on period recipes, costumes, instruments, and of course - Mozart's exquisite music. The cost includes round-trip ransfer by taxi, dinner and concert. Approx. duration of excursion is 3.5 hours. The Chianti excursion starts with a picturesque drive through the vineyards of one of the best known wine growing areas. A local expert will show us the cellars and introduce us to a variety of wines accompanied by local specialties of ham, Tuscan salami, olive oils, and bread. After free time to explore the town of Greve, we will return to Florence. Cost includes round-trip transfer by motor coach, tour of the facilities, wine tasting, and samples of local foods. Free time in Greve. Times and prices are subject to change. Get ready for a dinner of pure Italian delights at Il Latini, located in the heart of Renaissance Florence. Once the stables of L.B. Alberti’s masterpiece palace, the Latini family’s restaurant and winery offers the original flavors of Tuscany. Frommer’s writes: Under hundreds of hanging prosciutto ham hocks, the waiters try their hardest to keep a menu away from you and serve instead a filling, traditional set meal with bottomless wine. This usually kicks off with ribollita and pappa al pomodoro or penne strascicate (in a ragù mixed with cream). If everyone agrees on the arrosto misto, you can get a table-filling platter heaped high with assorted roast meats. Finish off with a round of cantucci con vin santo for everyone. Cost includes round-trip transfers if hotel is not in walking distance. Tuscan Feast includes wine and water. Sail on the beautiful Mediterranean Sea aboard a catamaran. Travel along the coast and take in the views of La Sagrada Familia, Barcelona Cathedral, Montjuic, Tibidabo and the Port Olympic. Head out to sea, go for a swim, then enjoy a drink and snacks. The cost includes round-trip transfer, 2-hour sailing, lunch including spanish tapas, wine and water. Min. number of guests required to operate this option is 10. Take off on your overnight flight for an amazing European adventure. Arrive in Munich today and enjoy the remainder of the day to relax or explore the sights of the famed Oktoberfest city before meeting fellow travelers at our welcome orientation and dinner of German specialties tonight. 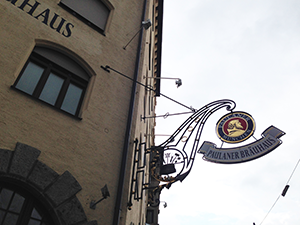 On today’s walking tour of Munich, see the Glockenspiel Chimes, the Frauenkirche, then shop for Bavarian beer steins and lederhosen on Maximilianstrasse. An optional excursion is available for those interested in visiting Dachau Memorial Site. Enjoy a free evening to further explore the city or make dinner plans with fellow travelers. Entering enchanting Austria, our next stop is Salzburg, birthplace of Mozart. Our local historian will take us on a ‘Sound of Music’ tour, a must for those who were touched by the story of the von Trapp family. Enjoy the spirit of this festival city as we walk along narrow streets decorated with colorful wrought iron signs. This evening opt into a Mozart dinner concert. The picturesque landscape of the Austrian Lake District brings us to sunny Italy's Venice- "Sinking City in the Sea." Stroll across arched bridges past 12th and 18th-century marble palaces along the Grand Canal. Leisure time may find you on a romantic gondola gliding through the intricate maze of canals. We return to the main land for our pizza party tonight. Through the fertile Po Valley we approach Florence, ‘Golden City of the Renaissance’ and birthplace of Michelangelo. Our local art expert shows us why Florence is considered the art capital of the world. See the Gates of Paradise, the marble Santa Maria del Fiore Cathedral and Giotto's Belltower. Leisure time may find you shopping for Florentine leather goods and jewelry or watching the amber sun set over Florence from Piazzale Michelangelo. This morning, our optional Chianti excursion starts with a picturesque drive through the vineyards of one of the best known wine growing areas. A local expert will show us the cellars and introduce us to a variety of wines accompanied by local specialties of ham, Tuscan salami, olive oils and bread. If you remain in Florence, free time may find you visiting the Uffizi Gallery or the Galleria dell'Accademia to see Michelangelo’s David. Tonight, consider joining a Tuscan Feast at one of the famous Florentine trattorias tonight. We follow winding coastal roads to the sun-splashed shores of the Italian and French Riviera. Take some time to relax after today’s travels before joining us for a ‘Welcome to France’ brasserie dinner. Devote your day to swimming and sunbathing or take our optional excursion along the French Riviera. Check out the extravagant yachts in the film festival resort of Cannes or just stroll under the towering palms. Continue along the Cote d'Azur through Nice to the elegant Principality of Monaco to see the famous Grand Casino, the Royal Palace and streets used for the Grand Prix Race. Early this morning we make our way to Marseille to board a high-speed train to Barcelona. In just under 4.5 hours we make our way to Don Quixote's Spain. With the blue Mediterranean by our side we zigzag along the sparkling coast and through the Pyrenees Mountains to the Costa Brava. Stay in bustling Barcelona. Founded by Phoenicians, the city was a major port one thousand years before Madrid even existed. Enjoy an evening at leisure. 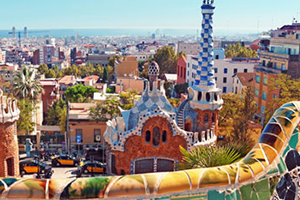 During free time today, use your included 2-day Barcelona travel card to see Gaudi’s art nouveau cathedral, the Picasso Museum, the flower markets of Las Ramblas and sites from the 1992 Olympics. This afternoon, perhaps take the funicular up to Montjuich for a sweeping panoramic view of the harbor below. Consider joining an optional sailing trip on the beautiful Mediterranean Sea aboard a modern yacht. Tonight indulge in our special Fiesta dinner of Spanish cuisine and sangria, then feel the pace quicken in time with clicking castanets at an exciting Flamenco show. Your land tour ends with breakfast this morning. Fly back home with grand memories to last a lifetime. 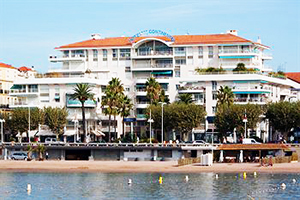 Cannes is world-famous for its glamorous international film festival. Its Boulevard de la Croisette, curving along the coast, is lined with sandy beaches, upmarket boutiques and palatial hotels. This area teems with movie stars during festival time. Truly a garden city, over half of the public areas in Cannes are green spaces including the Grand Jas Cemetery. Steeped in history, the terraced cemetery is ornately landscaped and offers stunning views of the city. Old town Suquet is a pleasant change from the rest of Cannes. Cannes was built on a hill to be protected against the major threats of the time. The Suquet, which means “mound” in Provençal, is located to the west of the bay. The more courageous will climb the one hundred steps of the old Saracen tower to admire the most beautiful panorama of the bay of Cannes. 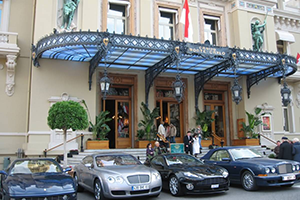 The opulent Casino de Monte-Carlo attracts an international clientèle thanks to history, legendary décor and full range of table games and slot machines. Noted as a backdrop for many films, the casino has a reputation for attracting the high-rollers. Since opening in the 1850’s, the Casino has been a major source of income for the House of Grimaldi and the Monaco economy. With the lack of cultural diversions available in Monaco in the 1870s, Prince Charles III decided to include a concert hall as part of the casino. The main public entrance to the hall was from the casino, while Charles III's private entrance was on the western side. It opened in 1879 and became known as the Salle Garnier, after the architect Charles Garnier who designed it. The official residence of the Prince of Monaco, the palace has a long and often dramatic history since it has been bombarded and besieged by many foreign powers. A blend of architectural styles; from its ancient fort origins to the Renaissance era façade, the Palace reflects the history not only of Monaco, but of the family which has celebrated over 700 years of rule from the same palace. This 17th century aristocratic building is now home to a musical instrument museum. Stroll through the historical building’s ornately decorated rooms while viewing the museum’s collection of over 500 instruments that date back to the 1500s. Climb the stairs or take the elevator to the top of Castle Hill to enjoy a 360 degree view of Nice and the Mediterranean Sea. This museum features the works of French-Belarussian-Russian artist Marc Chagall. His large, colorful paintings pioneered the modernism movement and are sure to linger in your memory. Chagall designed the layout of the museum himself, which enhances the experience of visiting this museum. The observatory, located on Mont Gros and built in 1881, offers great views of the city of Nice. Learn about the history of astronomy and walk along a forest trail to see a fantastic view of the Mediterranean. Opened in 1826 by Ludwig I, the Alte Pinakothek (Old Picture Gallery) represents the pinnacle of the Emperor's achievements as a collector. One of the oldest English-style landscape gardens and one of the largest municipal parks in Europe, the Englischer Garten is a must visit while in Munich. Visit the Chinese pagoda with adjoining beer garden, the Monopteros Greek temple, a river and a boating lake. Visitors can also attend a traditional tea ceremony in the Japanese tea house. Marienplatz, Munich's main square was founded by Henry the Lion in 1158. Once a market, it is now a major tourist attraction. People marvel at the gothic facade of the town hall. Your tour director will take you to hear the bells in the town hall tower. The ringing of the bells is accompanied by a 'glockenspiel' depicting a medieval dance and the wedding of Duke William V and Renata von Lothringen. Built for the 1972 Olympic Games, the Olympic complex is now used for a variety of leisure activities ranging from sports events to concerts or just touring the park. For a BMW enthusiast it is one of the highlights of a visit to Germany. Since its opening in 1973, the BMW Museum has been a place that documents the history of BMW and places it in the context of the present and future. The stated aim of the museum is to fascinate visitors with exciting topics about mobility, communication and society. Now housing the city administration offices, this once elaborate architectural feat still retains its original marble staircase. The staircase banisters were carved by Raphael Donner and feature hundreds of cherubs that lead to the Marmorsaal. The Marmorsaal, a gold and marble great hall, is used for weddings and special musical events. The palace grounds feature the most scenic gardens, fountains, reflecting pools and spectacular views of the city. 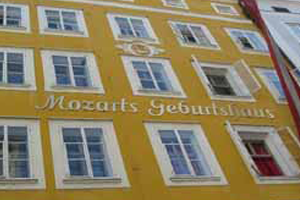 Home to the child musical prodigy, this historical building is where Wolfgang Mozart spent his early years. On display are his violin, a spinet, and sheet music from his childhood. Also on exhibit are model sets, which visually depict the staging of his musical compositions, and additional opera memorabilia. Overlooking Hellbrunn Park, the Volkskunde Museum offers a folk collection assembled by Prince-Archbishop Markus Sittikus in 1615. The displays, spread over three floors, reflect a cross-section of local folk art and depict popular religious beliefs, folk medicine, and the traditional costumes of Land Salzburg. The celebrated glockenspiel with its 35 bells stands across from the Residenz. You can hear this 18th-century carillon at 7am, 11am, and 6pm. The ideal way to hear the chimes is from one of the cafes lining the edges of the Mozartplatz while sipping your favorite beverage. The stronghold of the ruling prince-archbishops before they moved downtown to the Residenz, this fortress towers 122m (400 ft.) above the Salzach River on a rocky dolomite ledge. The massive fortress crowns the Festungsberg and literally dominates Salzburg. Guided tours are available, purchased with a combined ticket of admission and tour. Piazza San Marco or St. Mark's Square is Venice's most famous square. What appears to be a rectangle is actually a trapezium, and when you look up at the basilica, the piazza seems very large, although it is only 175m long. On both sides of the piazza are the ‘Procuratie’ buildings which housed the procurators of San Marco. For a long time this was the only way to cross the Canal Grande. A previous bridge was replaced by this one, designed by Antonio da Ponte, built 1554-1591. You find a variety of shops on the bridge selling souvenirs. You get a splendid view from the tallest bell tower in Venice. Even though the tower was erected at the beginning of the 20th century, it is an exact replica of the original 15th-century bell tower. In 1609, Galileo Galilei exhibited his telescope here, and during the carnival, the bell tower used to serve as a stage for the tight rope-walkers who entertained the doge with their acrobatics. Best known of all Florence's sights, this bridge was the only one spared by the retreating Germans in 1944. Over the centuries flooding took its toll and only a few traces of the 10th-century bridge remain. Built in the middle of the 14th-century, it was originally filled with a variety of shops that included wool merchants and green grocers. Grand Duke Fernandino I had these replaced with goldsmiths to gentrify royalty's route to Pitti Palace, reached via the Vasari Corridor that passes over the bridge. The Medici family reserved rooms for their prestigious collection during use of the gallery as the magistrate's court in the 1700s. The gallery contains works by Leonardo da Vinci, Michelangelo, Raphael, Caravaggio and Botticelli. The corridors which feature ceilings with splendid frescoes are lined with Roman and sixteenth-century sculptures. We advise that you make reservations BEFORE your arrival in Florence if you wish to visit the Uffizi Gallieries. The Accademia Gallery is best-known for Michelangelo's "David" placed there after four centuries in Piazza Signoria. It is housed in a specially constructed hall. Other works by Michelangelo include some of his 'Slave’ series and his sculpture of San Matteo. You can also find an impressive collection of paintings from the 13th to16th-centuries. Among the gallery's most important works are: a Sienese School Crucifix from the 13th-century, 24 panels by Taddeo Gaddi representing scenes from the life of Christ and St Francis and Giovanni da Milano's Pietà. 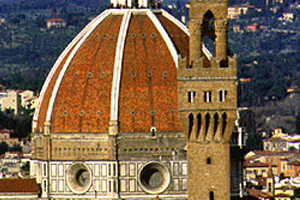 The legendary duomo is famous for its dome: Brunelleschi's Renaissance masterpiece. Completed in 1436, he created a double dome shell so that the dome is entirely self-supporting. Building started in 1296 on the site of the Roman basilica of Santa Reparata of which there are still visible remains. The existing Neo-Gothic façade was added in the 19th century. Covering a massive 3600 square meters, the frescoes inside the dome depict the Last Judgement. Take an afternoon and explore the multi-peaked mountain of Montserrat (1 hour train ride). Wander through the monastery that rests between Montserrat’s iconic peaks and pay a visit to La Moreneta, a sculpture of the Virgin Mary that some believe was carved by St. Luke. Visit the Parc Montjuïc to enjoy its stunning views and learn about the role Montjuïc Hill has played in shaping Spain. This area was home to the World International Fair in 1929 and the Olympics in 1992. It also boasts several gardens and the Castell de Montjuïc, which played a pivotal role in some of Spain’s major wars. This unfinished church is the life’s work of Barcelona’s favorite architect, Antoni Gaudí. Construction largely halted after Gaudí’s death in 1926 but the projected completion of the church is 2026. Sagrada Familia, a UNESCO World Heritage Site, was designed to mimic Spain’s iconic Montserrat. The 1000 year old church is a prime example of Romanesque architecture. Visit the adjoining abbots’ house and defunct monastery with its whimsical stone carvings. 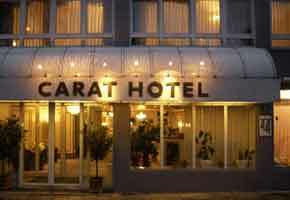 The Carat Hotel Munich offers upmarket 3-star comfort and is located in the heart of Munich. The pedestrian zone, main railway station and many places of interest can all be accessed easily on foot. The Sendlinger Tor underground station is only 200 metres from the hotel. 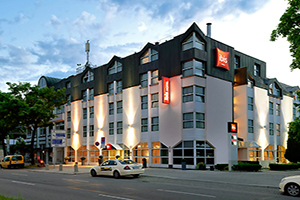 A 4-minute walk from München Hauptbahnhof train station, this centrally located hotel in the Maxvorstadt district is also close to Marienplatz square. The modern rooms all have free Wi-Fi and flat-screen TVs, plus custom-designed beds and work desks. There is a 24/7 lounge/bar offering snacks. 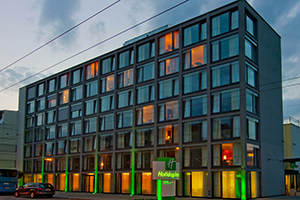 Located in the city centre, this air-conditioned hotel offers free WiFi in the lobby and laundry service. The hotel features a restaurant, bar and fitness center. The Residence is just a few minutes away by bus from Venice. 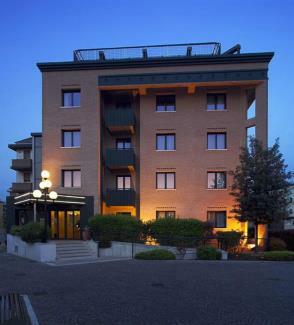 This comfortable hotel in Mestre is set out over six floors and has three lifts, one of which is panoramic. 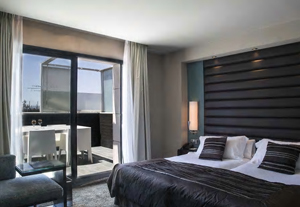 All 85 units in the Hotel Residence Elite have been recently renovated to offer guests a vast range of options. The public rooms are extremely pleasant and welcoming: guests can have breakfast in a large, bright room, relax in the reading room or in the small garden and enjoy a cocktail at the hotel bar. 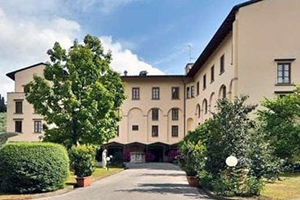 Surrounded by a relaxing garden from the late 1800s, Villa Gabriele d'Annunzio is a quick bus ride to the historic centre of Florence. All rooms have free WiFi, air-conditioning, mini-fridge, hairdryer and coffee/tea maker. The hotel features a bar, breakfast buffet and an outdoor swimming pool. 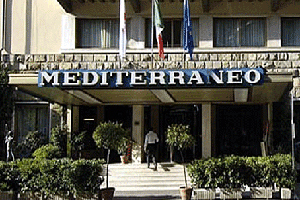 The 4-star Grand Hotel Mediterraneo is situated in an enchanting and peaceful position on the banks of the Arno river, a short distance from the centre of Florence. The hotel features an excellent restaurant offering authentic Tuscan cuisine and an American bar and lounge. 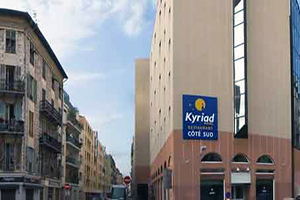 The Kyriad Hotel Nice Port is located in central Nice, just 375 yards from the ferry port and a 20 minute walk from the Promenade des Anglais. Its rooms are air-conditioned with free Wi-Fi access.The guest rooms at the Kyriad Nice Port come with flat-screen TVs with satellite channels and a private bathroom. Pestana Arena Barcelona is a short 5-minute walk from Barcelona’s Plaza Espanya and Fira Exhibition Center. It features a gym, sauna and modern, air-conditioned rooms with free wired internet access. It is also in a 3 minute walking distance from the Las Arenas Shopping Center and and 8 min walk to Sants Station. Las Ramblas can be reached from Plaza Espanya Metro. The hotel rooms feature parquet floors and stylish décor. Each one has a work desk, a pillow menu and an LCD TV with satellite channels. 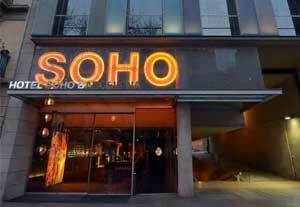 Hotel Soho is located on Gran Via, in central Barcelona and features a rooftop seasonal pool and sun terrace with panoramic views. It is a 10-minute walk from Plaza Catalunya and Passeig de Gracia Boulevard. Modern air-conditioned rooms are soundproof and offer flat-screen satellite TV and free Wi-Fi. Bathrooms are equipped with hairdryers.The hotelis a 5-minute walk from bus stop in Plaza Universitat, and Urgell Metro Station is just 450 feet away. * Price per person based on a twin share room. If you're traveling alone, AESU will attempt to arrange for a 2-share room (same gender). Please see rooming policy. If you prefer a single room, a single supplement of $725 will apply. NOTE: Reservations to be paid in full 90 days prior to departure. Reservations received after this date are subject to availability and any airfare quote can only be held for 72 hours. Payment in full will be due upon receipt of invoice from AESU. A late booking fee of $100 per person will apply. "The tour was phenomenal and the logistics were planned perfectly. This is exactly what I dreamed of but could never plan myself." Email Continental - 12 days to a friend!